ANGUS CLUB STEAKHOUSE ON TBA! OVER $1000 IN CASH & PRIZES!! MANY UPSCALE SINGLES FROM NEW YORK CITY AND THE SURROUNDING AREAS ARE EXPECTED TO ATTEND! Pictures above from our NYC events! NYC Lock and Key Events Success Story!!! Join Lock and Key Events and Pre-Dating at our next New York City Lock and Key Event. It's the interactive and FUN way to socialize, make new friends, meet your match....or just to have a great time! We are THE Lock And Key Events you've heard about! Grab a cocktail and get ready to Unlock Your Possibilities. Lock and Key Events transform a regular happy hour by adding the ULTIMATE ice breaker theme. It's like no other party you have ever attended!!! With your lock or key, you now have a reason to talk to anyone and everyone you want! What a great way to unwind after a long work week...or kick off a night on the town! Call 877-565-3836 (1-877-LNK-EVENT) or email nyc@lockandkeyevents.com for more info. 2. If you are lost, call Angus Club Steakhouse at (212) 588-1585. 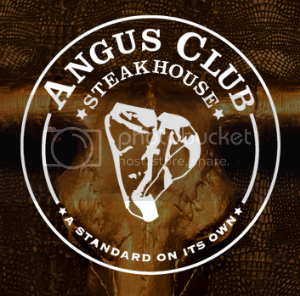 Angus Club Steakhouse is located at 135 East 55th Street in New York, NY. Try Hopstop - City Transit Guide. Free on-street parking after 7pm & paid parking garages in the area. Our Event will be in a private area! Just look for our Check-in Table when you arrive! Special VIP entrance for prepaid guests!! PRIZES YOU CAN WIN ON TBA! DRUNK SHAKESPEARE - An IRREVERENT & OUTRAGEOUS New Theatrical Experience. One actor has at least 5 shots of whiskey and then attempts to perform in a Shakespearean play. ANYTHING. COULD. HAPPEN!! - *Valid for performances thru 9/5/15. Discount code valid for $35 Mezzanine seats reg. $54 & $39 Stage-Side seats reg. $69 only. All purchases with credit/debit, including online / phone orders, will incur a $4 processing fee. Blackout dates may apply. No exchanges or refunds, all sales final. Cannot be combined with other offers. FREE Appetizers are available until 9:30 PM! !